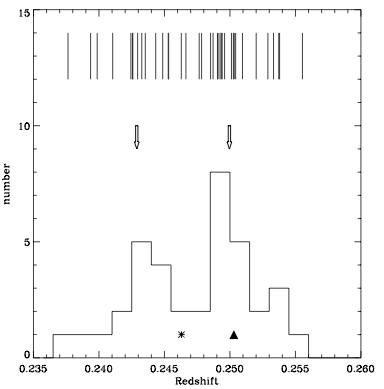 RXC J1314.4-2515 is one of the better representations of double relic systems. Valtchanov et al. 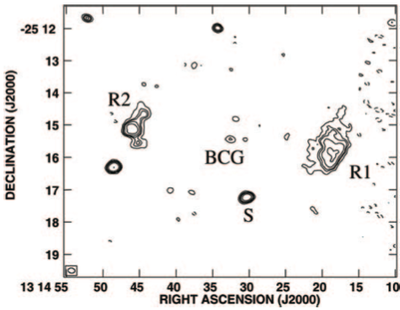 (2002) obtained 37 spectroscopic redshifts of cluster members and found that there is a significant bimodal distribution in redshift space (~1700 km/s separation) and is supported by a bimodal distribution of galaxies in projected space. 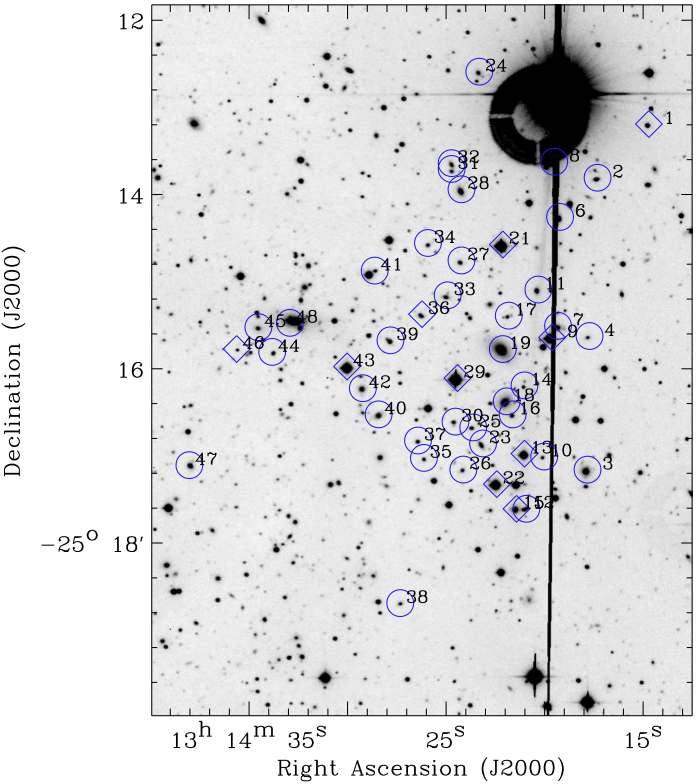 The double relics have been observed on VLA and GMRT (Feretti et al. 2005; Venturi et al. 2007; Venturi et al. 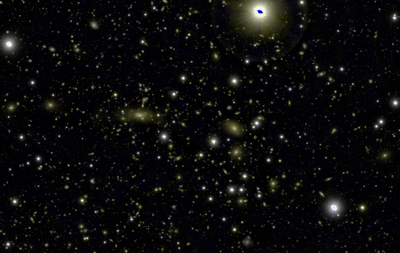 2013), although little work has been done studying the spectral steepening or polarization. Mazzotta et al. (2011) briefly reported on their analysis of XMM-Newton data (106 ks), and found a shock front consistent with the leading edge of the western radio relic. They note that there is excellent agreement between the Mach number estimates of X-ray and Radio. Interestingly this shock front is M-shaped which they suggest may indicate infalling material. Based on Valtchanov et al. (2002) and Venturi et al. (2013). Valtchanov, I. et al., 2002. 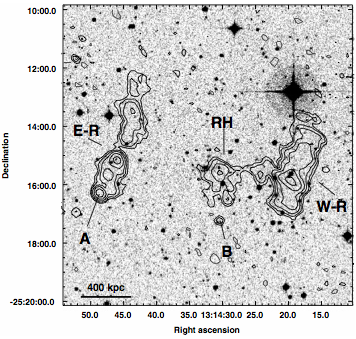 Abell 1451 and 1RXS J131423.6-251521: A multi-wavelength study of two dynamically perturbed clusters of galaxies. Astronomy and Astrophysics, 392(3), pp.795–805. Feretti, L. et al., 2005. 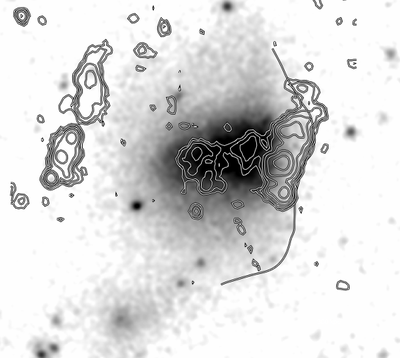 Diffuse radio emission in a REFLEX cluster. Astronomy and Astrophysics, 444(1), pp.157–164. Venturi, T. et al., 2007. GMRT radio halo survey in galaxy clusters at z= 0.2–0.4. Astronomy and Astrophysics, 463(3), pp.937–947. Mazzotta, P. et al., 2011. 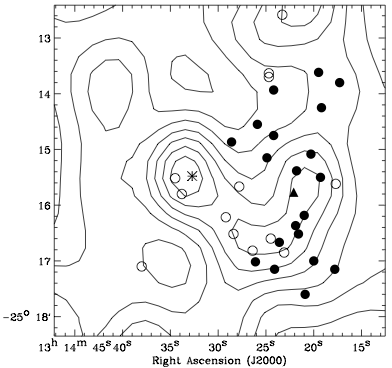 Study of the M shock wave propagation in RXJ1314.4-2515. Memorie della Societa Astronomica Italiana, 82, p.495. Feretti, L. et al., 2012. Clusters of galaxies : observational properties of the diffuse radio emission. Venturi, T. et al., 2013. 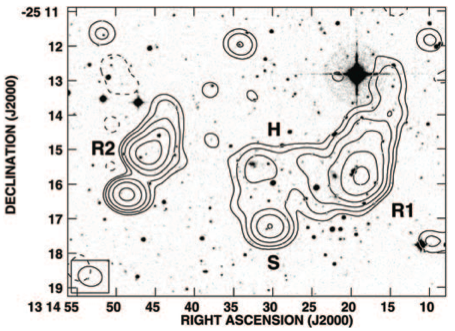 Low frequency follow up of radio haloes and relics in the GMRT Radio Halo Cluster Survey. Astronomy and Astrophysics, 551, p.A24.